SHA Patchobys Design or "Desi" for short came to Blue Creek from Sunset Hill Appaloosas' fine foundation program in Bloomfield, Missouri. She is by WF Topatchys Frosty and out of FCR Pepper Stepper. Her sire brings us the genes of among others, Quanah, Quanah's Shadow, Toby K, Toby I, Toby II, Rex, Patchy, Patches, Shavano, Sundance 500, Dartagnon, the Sam Fisher horses by the herd, and Red Eagle. Her dam packs in many of the Colidas, King Plaudit and his progeny, Jauquin, Banjo, Freels Chico twice, Chicaro, Apache, Rustler Bill, Spotted Eagle, the Painters, the Starbuck Leopard several times and Joker B. 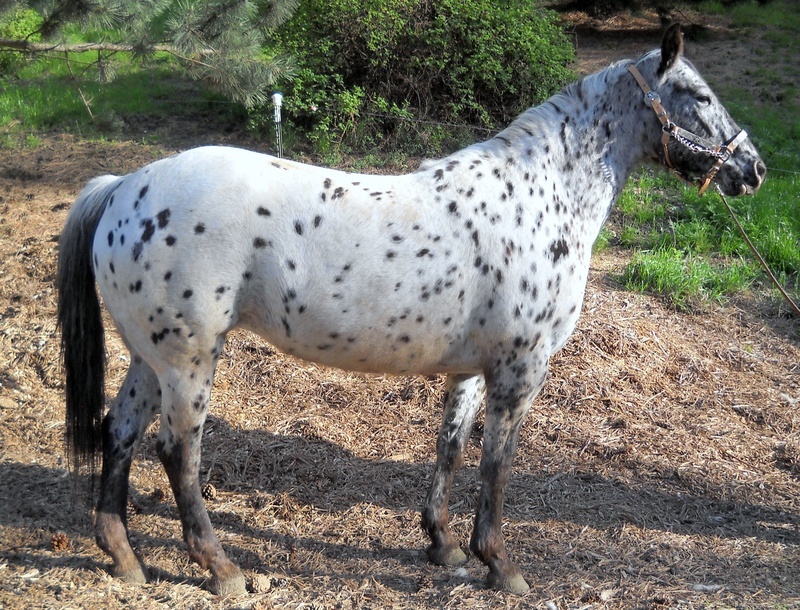 This is deep Appaloosa, a classic horse. Desi gave birth to a heterozygous black blanketed filly by Fossil on March 25, 2012, BCA Tofoz Fudasan, and a splendid leopard colt, BCA Tofoz Kagoshima, on March 25, 2013, both GAP 5 horses. Desi took 2014 off from foaling and went successfully on the 50th Anniversary of the Chief Joseph Trail Ride in Wyoming and Montana. 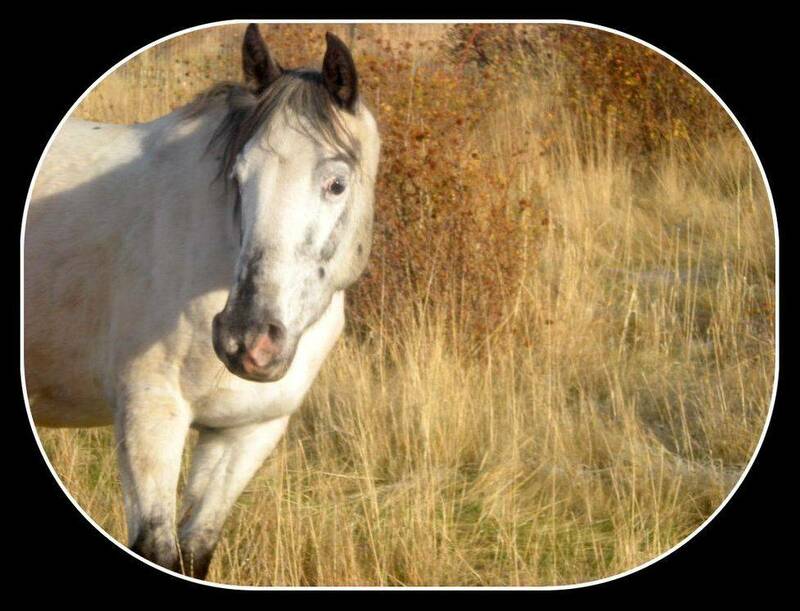 Desi is registered in the ApHC Saddle Log program and altogether in 2014 logged over 500 miles! 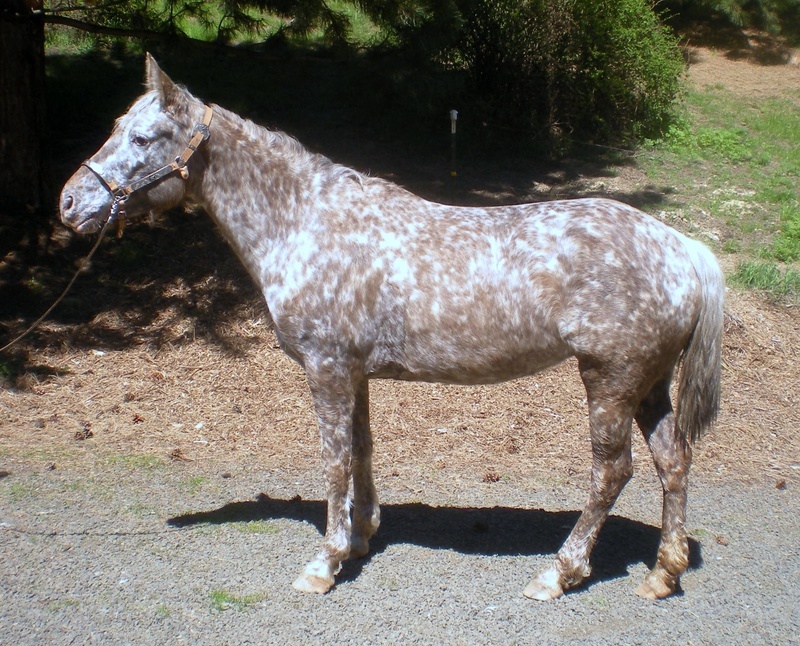 Desi was shown briefly and placed first in Open Yearling Fillies, second in Appaloosa Yearling Fillies, tied for second in FPD Appaloosas, and fifth in Most Colorful at the August, 2009, Oregon Trail Appaloosa Horse Club's open show in Powell Butte, Oregon. Desi was sponsored in a 4-H club for her young rider Heather Ball. They placed first in the Trail Riding in their division at the Walla Walla Frontier Days Fair and Rodeo in September 2010. Desi gave birth to BCA Chats Tsumago, a colt by BCA Tofoz Chatanga in 2016, Gap 5. She is due for another foal by BCA Tofoz Chatanga in 2019. DREA Imnaha Blksundy is out of DREA Imnaha Ladyhawk by DREA Eaglestud Sundy, hence she is half sisters to BCA Tofoz Pahsimeroi and BCA Tofoz Dublspring. Sundy delivered a foal by BCAP Tobys Fossil in the spring of 2014, BCA Tofoz Dubleagle, a classic snowcap colt and our 8th GAP5 foal. Sundy delivered another GAP5 foal by BCA Tofoz Chatanga, BCA Chat Starwalk, in 2018. A great pleasure to ride and train, Sundy is developing into a first class trail horse. Sundy is due to deliver sometime this summer a foal by BCA Tofoz Chatanga. 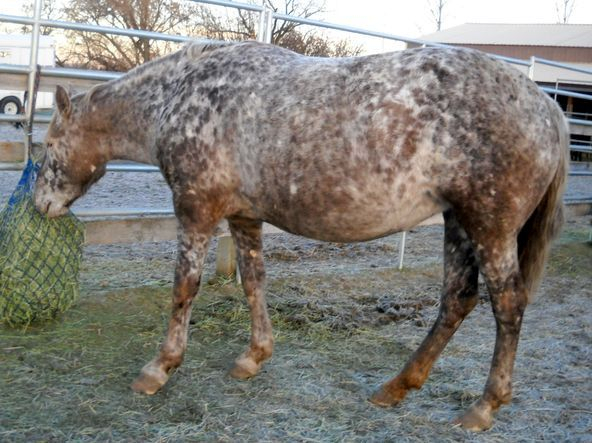 DREA Patchyrainwater is another deep appaloosa. Per Milton Decker at Decker's Red Eagle Appaloosas, there are 170 F numbered horses in her pedigree, making her eligible for FAHR and although she is not registered in the ApHC FPD program, if she were she would clock in at at least 100%. Some of the great horses in her pedigree include Chief Chelsea, Chief of Fourmile, the Patchys, the Painters, Red Eagle many times, likewise, Joker B., Freels Chico, Prince Plaudit, Red Plaudit, Jauquin, Banjo, Mansfields Comanche, Sundance 500 more than once, Marvels Angel, Reptile, Rodeo Day, Desert King, The Boss Hoss, plus a stable full of others. 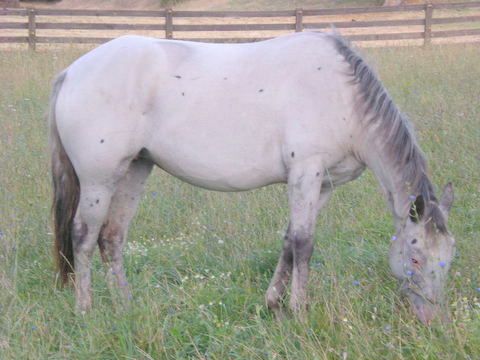 Meanwhile back on the ranch, Patchy gave birth to a GAP5 foal by BCAP Tobys Fossil on April 9, 2012. See pictures of BCA Tofoz Shandalupa on the 2012 foals page and also on Young Mares. Patchy's second GAP5 foal from the mating of Patchy and Fossil, BCA Tofoz Chatanga, a black blanketed colt, was born on March 18, 2013. Patchy gave birth in the Spring of 2014 to her 3rd GAP5 foal, a filly, BCA Tofoz Padopani. A special page for the three GAP5 foals of the Fossil/Patchy cross is in the works. It was a great nick as the TB breeders say. DREA Patchyrainwater gave birth to BCA Kagos Dazaifu, a leopard colt GAP5 by BCA Tofoz Kagoshima in 2016. 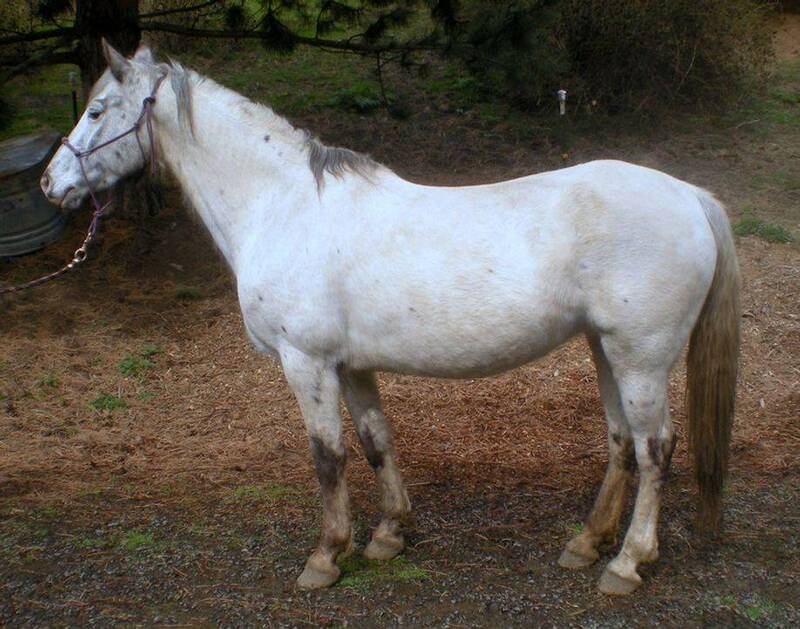 Patchy has gone home to DREA (Decker's Red Eagle Appaloosas) in Alvadore, Oregon. DREA Imnaha Ladyhawk is the dam of DREA Imnaha Blksundy, BCA Tofoz Pahsimeroi and BCA Tofoz Dublspring. Hawk is now in residence at Hawkeye Appaloosa Ranch in Brayton, Iowa. 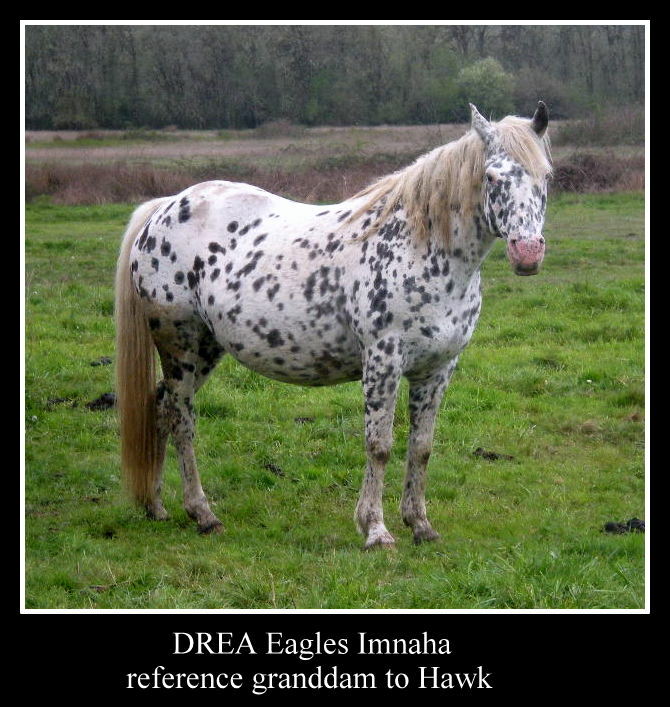 DREA Eagles Imnaha is the dam of DREA Imnaha Ladyhawk, and hence the granddam to DREA Imnaha Blksundy, BCA Tofoz Pahsimeroi, and BCA Tofoz Dublspring. With Sundy's foal in 2016, BCA will then have five horses tracing to this lovely mare, thanks in large part to Milton Decker at Decker's Red Eagle Appaloosas.